On January, 15th we celebrated a KICK-OFF CELEBRATION for the 2019 House that Hope Built with some of our trades and subcontractors. This is the third “Hope House” we will build with the generous support of our business partners, suppliers and subcontractors. We owe a special thank you to the Minnesota Wild, Wes Walz, and 317 on Rice Park for hosting our Kick-Off event and their continued support of HopeKids. The House that Hope Built will allow Tradition Companies to donate the net proceeds from the sale of the home to our charity of choice, HopeKids Minnesota, a local nonprofit organization that provides unique support for children with life-threatening illnesses and their families. 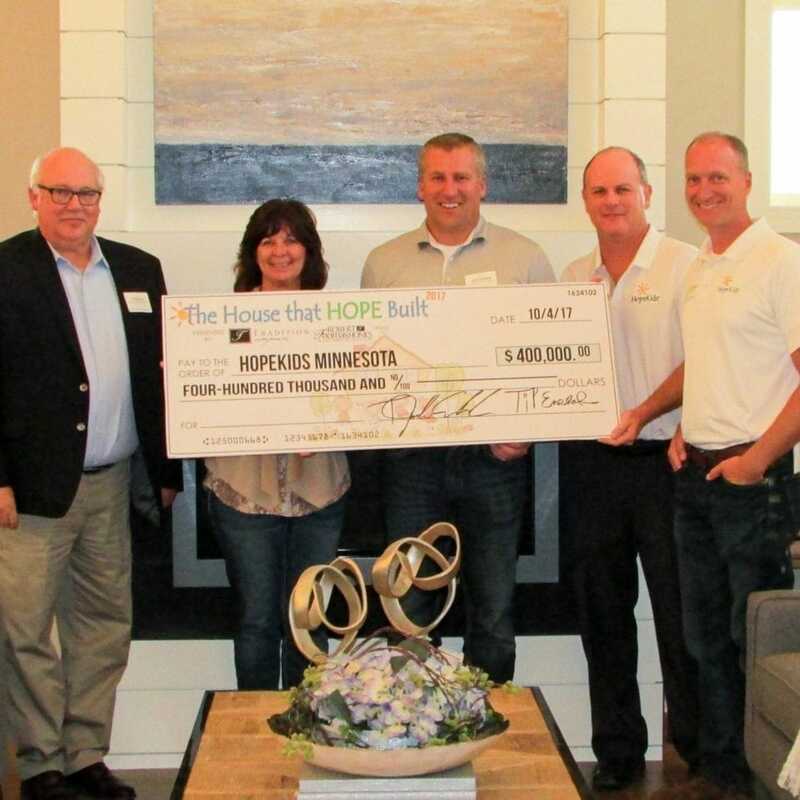 After the success of the 2015 House that Hope Built, & 2017 House that Hope Built which each raised $400,000 for HopeKids MN, we decided to join forces with many of our trade and business partners to replicate the meaningful project. 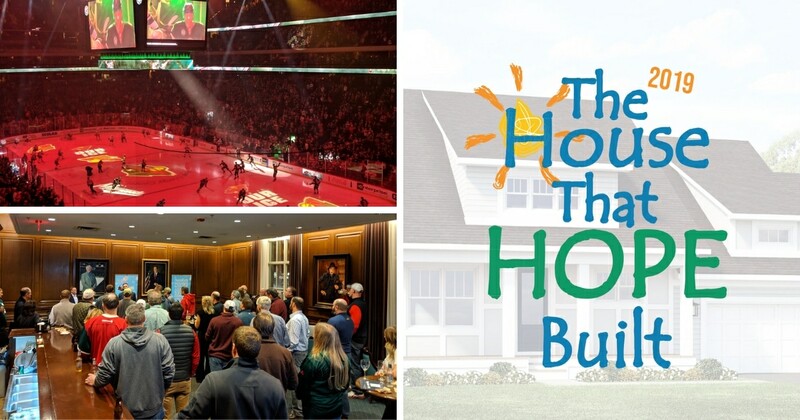 The 2015 & 2017 donations allowed HopeKids MN to purchase a 16-person suite at the Xcel Energy Center for four years. The “HopeSuite” (as it is referred to) has positively impacted over 1,400 families who have been able to attend an event in this suite! The HopeSuite offers a safe and accepting environment for the families to meet and connect with each other. The 2019 “Hope House” will be located at 16277 Duskwood Trail, Lakeville, MN and showcases over 3,000 square feet including 3 bedrooms and 3 bathrooms, and will be featured in the Fall 2019 Parade of Homes℠. 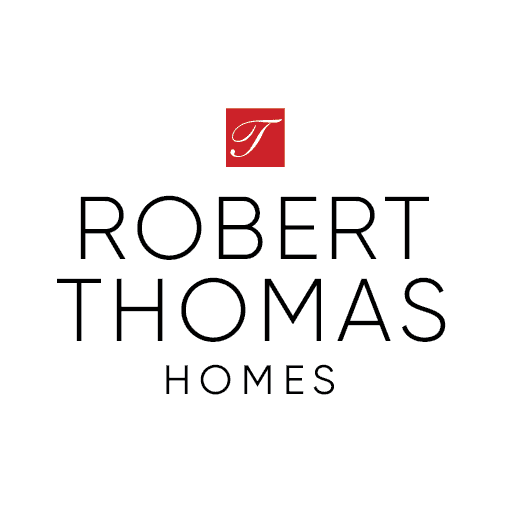 The home will be held for sale and at the conclusion of the event all net proceeds will be given to HopeKids Minnesota. 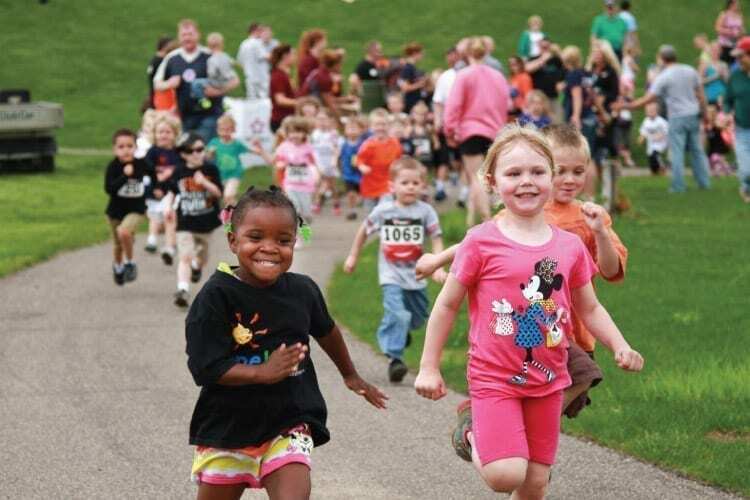 We are setting our goals high this year and hope to make another significant donation to HopeKids Minnesota. We have a lot of fun events planned throughout the build process of this year’s Hope House. Stay tuned for updates and progress of our 2019 Hope House!